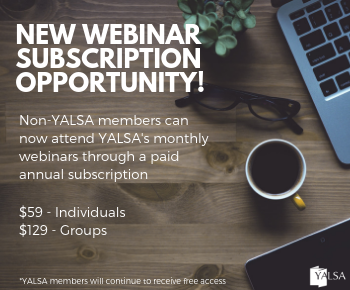 What insights can the busy YALSA member glean from the new volume in The Handbook of Research in Middle Level Education: Research on Teaching and Learning with the Literacies of Young Adolescents (Malu & Schaefer, 2015)? 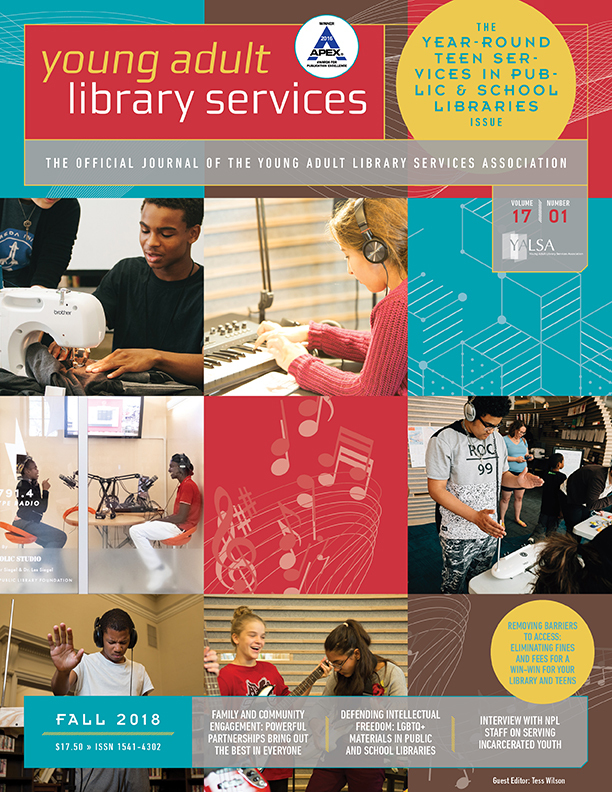 This research-based handbook is the focus of this blog, which is the 3rd installment in a series of blogs being published by members of YALSA’s Research committee. 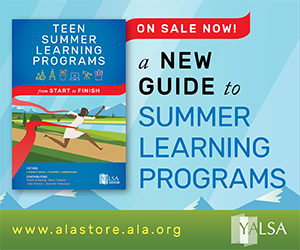 I used two basic criteria to decide which ideas from this handbook were worthy of sharing with the YALSA community. First, the featured concept had to have some parallel relationship and/or applicability within Library and Information Science research and practice. 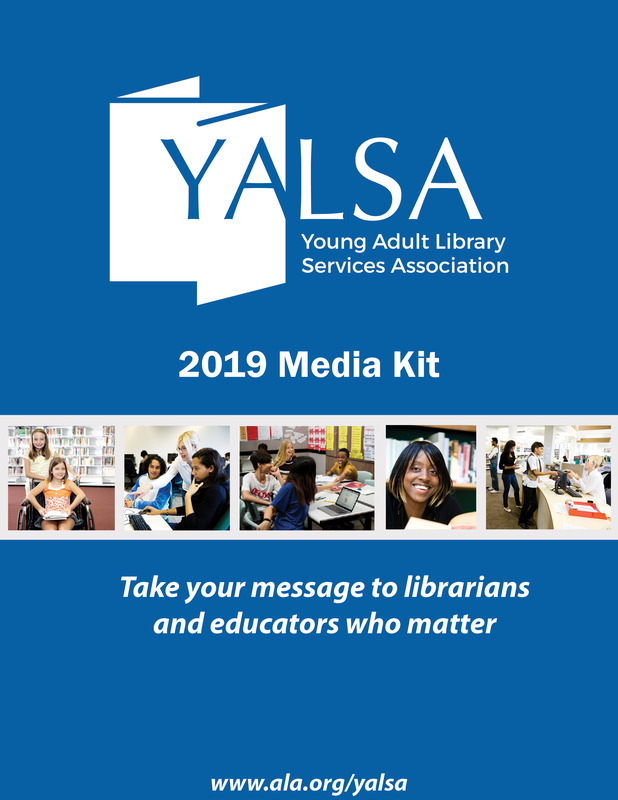 Second, the concept has, in my opinion, not been fully integrated into in LIS research and therefore warrants more attention by YALSA scholars and practitioners. My aim is to synthesize the common threads in literacy research across the disciplines of Education and Library and Information Science in hopes that either YS practitioners or scholars alike might be interested in furthering their knowledge of this concept or incorporating it into their repertoire of practices. 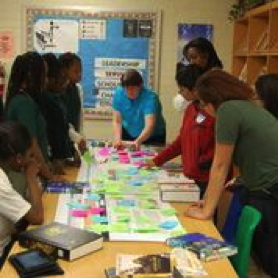 How do students’ research skills turn into love of inquiry? The answer is HackHealth! I work in a middle school library with grades six through eight. Because I serve a population of over 1,000 students, it is challenging to see all of my students on a regular basis. When I did see them, their research skills were very basic and most of them knew only Google. Although I love Google myself, I know that there is so much more that goes into research. How can I teach these skills to students with the limited time that I have with them? Researchers at the University of Maryland (UMD) in College Park came to me with the idea to form a weekly after-school program, HackHealth, to teach students how to research health topics that interest them. I jumped at the opportunity. My first step was to recruit students. There are several very effective ways to do this, but I will focus on the method that I used because it worked so well for me. I approached my school’s science team. I told them about the HackHealth program and asked them to recommend students who were interested and would benefit from this program. I received responses back from almost 20 students who were interested. We had an initial meeting with approximately 12 interested students where the program was introduced by the UMD researchers. The HackHealth program at my school lasted for 12 weeks. During the first session, I talked with them about choosing a topic. Our students viewed short videos introducing them to the program. The next step was to explore possible sources for their research. Students brainstormed sources which they would use to find credible information. For example, would they use the Internet, ask a family member, read a newspaper? They discussed the pros and cons of each of these sources based on prior knowledge. UMD researchers and I went over notetaking skills. 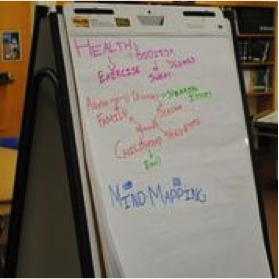 Three skills were introduced: Mind-mapping, tables, and making lists. 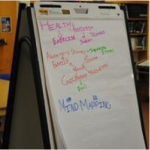 The students were introduced to each method and then formed groups to practice these methods. At the end, they were asked to present their assigned note-taking strategy to the group. The group discussed which method is most effective for which circumstances. 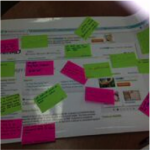 We used posters of various health-related Web pages for this activity. The posters included: WebMD, Dr. Oz, Wikipedia, a government website (alzheimers.gov), a blog (“Sharing my life with Lewy Body Dementia”) and a kids health website (KidsHealth.org). The students were given red and green post-its. The red represented not credible. The green represented credible. The students wrote why they felt the website was credible or not on their post-its. We got together at the end of this activity to discuss the differences in opinion and how to handle the “grey” areas on assessing credibility of online information. As a school librarian, summer is one of my favorite times to catch up on professional development and read as much as possible. This year I was lucky enough to attend ALA Annual (post on this coming soon) where I was showered with galley after galley of upcoming summer, fall and even winter titles. I left New Orleans with an entire extra suitcase full of finds. Only occasionally during my rounds through the exhibit hall was I reminded of the great service NetGalley, which allows “professional readers” ‘ (i.e. librarians and other’ eligible persons) access to DRM and DRM-free Galleys of upcoming titles. The list of publishers in NetGalley’s arsenal is long, and I’ve found out about many great titles through this service. 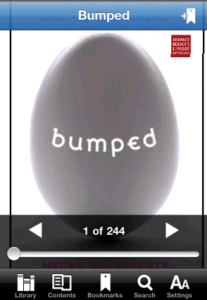 ‘ I turned a few books down when I discovered they were on NetGalley…less to carry. Upon my return from ALA, I learned that the iPads we ordered for the coming school year were in, so I picked one up with plans to try it out. I’ve put several different reading devices on the iPad; Kindle, Copia, Stanza, Bluefire have all been added, to name a few. 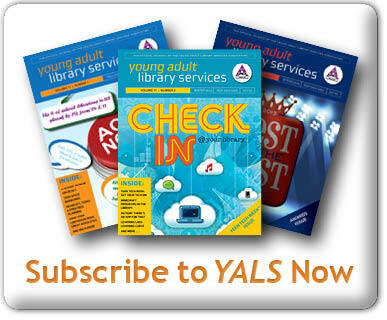 Just as I was about to begin writing my long overdue blog post on the YALSA website you bounded to the circulation desk and challenged me to a duel of wits. “Anything can be linked to Harry Potter” you exclaimed. With such confident swagger and determined stares, how could I NOT take you up on this challenge? How was I to know that asking’ you about HP’s relationship to formal poetry, chemical engineering and Antarctica would lead to talk of Lemony Snicket’s Series of Unfortunate Events, Jay Asher’s Thirteen Reasons Why, and Geraldine McCaughrean’s The White Darkness?’ I don’t know how it happens that I’ve never seen the Harry Potter musical on You Tube though you aren’t the first to try to show it to me. And I’m proud of you for returning to the text to find evidence to support your assertions.